An event at the National Archaeological Museum saw ancient hymns performed using faithful replicas of ancient instruments. Hymns sung to the Greek gods thousands of years ago resonated from ancient musical instruments in Athens last week, transporting a transfixed audience to antiquity. 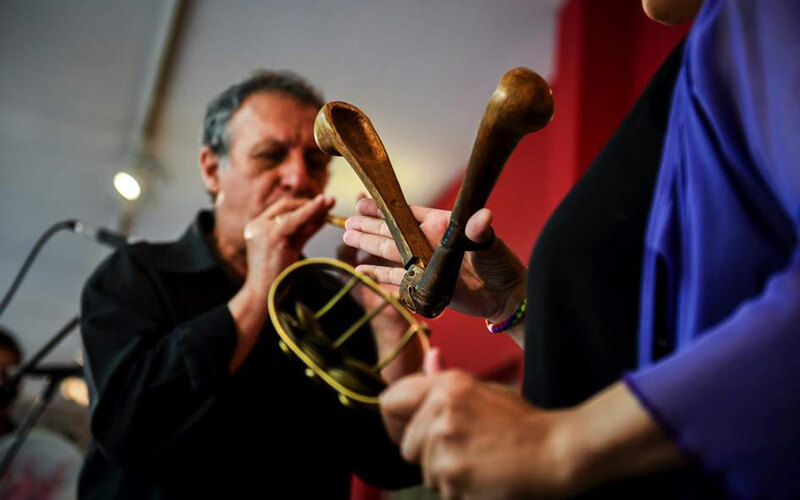 The phorminx, the kitharis, the krotala and the aulos – string and wind instruments reconstructed by musical group Lyravlos – echoed among marble statues in Athens’s National Archaeological Museum as part of World Music Day celebrations. A family of musicians, Lyravlos have recreated exact replicas of the ancient instruments from natural materials including animal shells, bones, hides and horns. Music was an integral part of almost every aspect of ancient Greek society, from religious, to social to athletic events. Today only some 60 written scores of ancient Greek music have survived, said Lyravlos member Michael Stefos. Stefos said they interpret them as best they can, relying on the accuracy of their recreated instruments. “Joking aside, ancient CDs have never been found,” he said. Their performance included a hymn to the god Apollo, pieces played at the musical festival of the ancient Pythian Games in Delphi and during wine-laden rituals to the god Dionysus. Michael’s father Panayiotis Stefos, who heads the group, travels to museums at home and abroad studying ancient Greek antiquities and texts in order to recreate the instruments. “Usually each instrument has a different sound. It is not something you can make on a computer, it will not be a carbon copy,” said Stefos. The difference with modern day instruments? “If someone holds it in their arms and starts playing, after a few minutes they don’t want to let it go, because it vibrates and pulsates with your body,” he said. French tourist Helene Piaget, who watched the performance, said it was “inspiring”. “One sees them on statues, on reliefs, and you can’t imagine what they might sound like,” she said. World Music Day is an annual celebration that takes place on the summer solstice.